The Independence County Library offers a “Jobs and Career Resources” page on their website, www.indcolib.com. 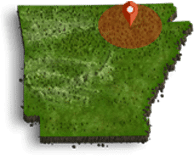 Job website links such as Arkansas State Jobs, nursing jobs, truck driving jobs, and many more, are included on the webpage. To access the page, go to the library’s website, www.indcolib.com, and select “Jobs and Career Resources” from the menu. For questions, please call Vanessa Adams at (870) 793-8814.